Petzl EXPRESS Sling. 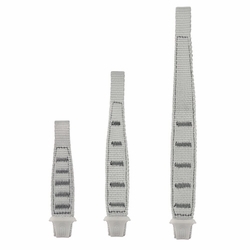 The ergonomic shape of the EXPRESS webbing offers excellent grip when working a route. The STRING allows the carabiner to be held in position and protects the webbing from wear.